Get inspired with this bumper pack of wiggle eyes to liven up all kinds of craft projects. 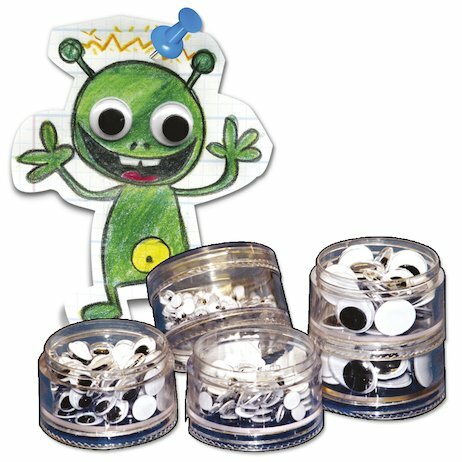 These cute googly eyes are ideal for puppet-making, craft modelling or giving paintings that extra lifelike look. Supplied in a 560g pack.